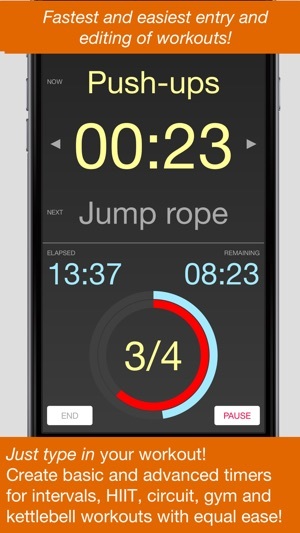 Create basic and advanced interval, circuit, HIIT, kettlebell and similar workouts and timers with equal ease! UNIQUE, POWERFUL BUT SIMPLE EDITING OF WORKOUTS: JUST TYPE YOUR WORKOUTS AS PLAIN TEXT, following few simple rules. Kutya Timer is your faithful training partner in the gym or at home to take you through your HIIT, circuit, tabata and similar workouts. 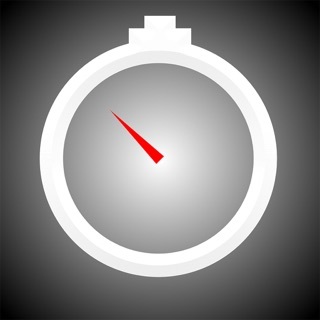 Kutya Timer is a versatile workout timer app which allows you to create multi-step timed workouts in the most natural way: You just type the workout in as plain text. 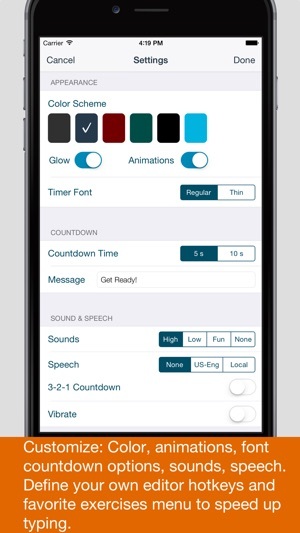 Follow the simple rules and Kutya Timer sets up the timers for you. Not only for interval training: Kutya Timer can also guide you through your gym workout or weight training, timing just the breaks and rest periods acting as your set coach. Got a workout from a friend or found a routine in the Internet? Copy, paste and edit the text a bit - your workout is all set. 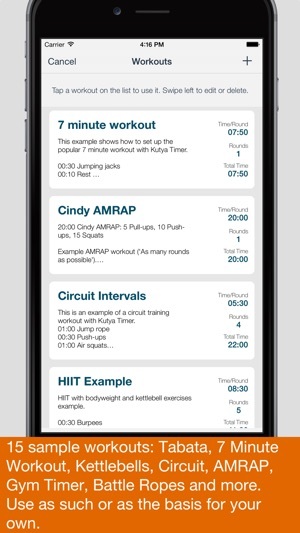 - Type your workouts in as text plain text, following one simple rule: Any line of text you type which begins with duration/time information becomes an exercise in your interval workout. That's it! - Text editor with customizable 'hotkeys' and favorite exercises list makes editing workouts easy and fast. - Comes with 15 examples you can use as templates for your own workouts. Pick a sample workout, edit as you like, save with another name. 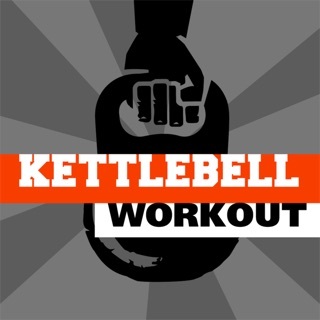 - Sample workouts include: Basic interval timers like Tabata, HIIT and Circuit workouts, 7 minute workout, Battle Ropes, Kettlebells, Treadmill, gym/weights workout etc. - Save workouts and use them later. 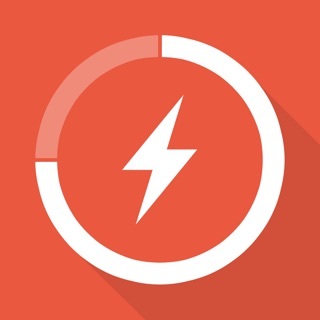 - Browse, select, edit, copy, delete with ease. 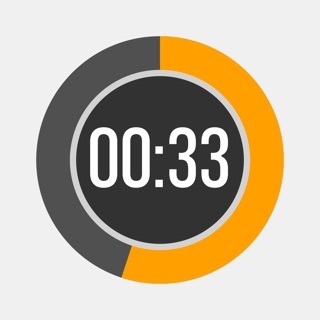 - Large animated display of time, current and up-next workout steps. Big text you can truly read from afar. - Portrait and landscape device orientations supported. - Pause & continue during the workout. Two-step finishing to avoid ending by accident. - Countdown functionality (5 or 10 seconds or can be turned off, customizable message) allows you to get set before the workout starts. - Three sound options, or turn off sounds. Alternating beeps for two-step work/rest intevals. 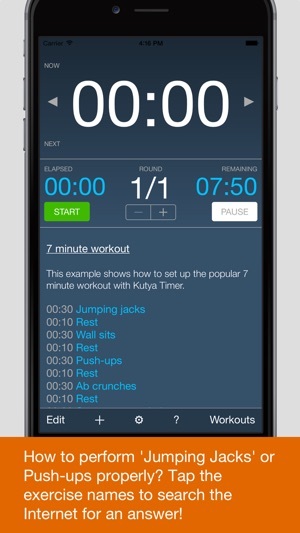 - Auto pause timer functionality allows to mix timed and non-timed steps in one workout: Do the workout "with reps" but let Kutya Timer guide you through the workout and keep time of the rest periods and breaks. Just add '@@' to the exercise name to create make the timer pause. Bug fix: Workout list is now sorted alphabetically. Please add this to the Apple Watch. I love the flexibility to configure it however you want with text. Doesn't have the restrictions that other TABATAS apps have. Love it!